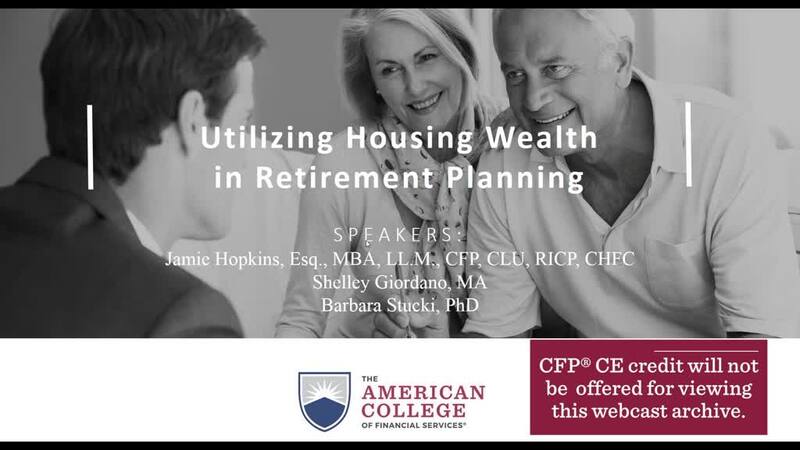 Tap into the knowledge of over 60 leading experts on a variety of retirement income planning topics. 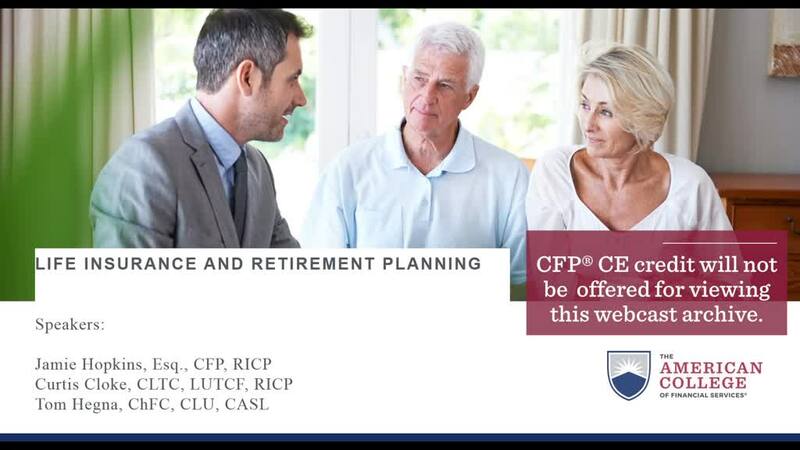 The American College of Financial Services today announced that Wade D. Pfau, PhD, CFA®, has been named Director of The American College's leading Retirement Income Certified Professional® (RICP®) Program. Pfau will also now serve as Co-Director of the New York Life Center for Retirement Income, joining Steve Parrish, JD, RICP®, as Center Co-Director. Looked at your 401(k) statement lately? Your investment accounts are probably doing well overall, but the total still seems too small to maintain your lifestyle in retirement. You know you should have saved more in your 20s and 30s, but it wasn’t easy with a layoff, two kids, buying a home, and taking vacations. Recently, the Federal Reserve announced that the federal funds rate — its benchmark short-term interest rate — would remain unchanged for the remainder of 2019. Forgoing previous plans to deliver two additional rate hikes this year, instead rates will stay in the 2.25% to 2.5% range. The 2017 RICP® Retirement Income Literacy Survey is a comprehensive survey testing retirement income literacy. See how well you do on the quiz. The RICP® is the first must-have designation in 30 years, and is only available from The American College of Financial Services.